This is a 1983 Brabham BT52, one of the most powerful Formula 1 cars of all time, and the first turbo-charged car ever to win a World Championship. Designed by legendary engineer Gordon Murray, the BMW-powered BT52 took Nelson Piquet to his second World Championship, after the earlier BT49 had given him his maiden Championship in 1980. Brabham won six World Championships in total, four Drivers and two Constructors, and founder Jack Brabham remains the only driver ever to win a Formula 1 World Championship in a car of his own design. However, after two periods of huge success in the 1960s and 1980s, Bernie Ecclestone – who owned the Brabham team in the ’70s and ’80s – sold it to a Japanese investor, and a few years later Brabham collapsed due to financial difficulties. Sadly Brabham haven’t raced in Formula 1 since, but TLCB has ears, and rumour has it that Formula 1 team Force India, who are currently in good form, need a new owner. With their current billionaire owners on bale for serious fraud offences and Brabham looking to build their own road-cars, we could see the famous Australian-British brand back at the sharp end of Formula 1 very soon. You heard it here first! Back to the ’80s, and this incredible replica of Brabham’s last Championship-winning car comes from previous bloggee Luca Rosconi aka RoscoPC, who continues to re-publish his huge collection of classic Formula 1 cars to Flickr. There’s more to see of the Brabham BT52, as well as his other stunning replicas, at Luca’s photostream – click the link above to make the jump. This gloriously futuristic BMW WR 1000 electric motorcycle is the work of newcomer kbalage aka RacingBrick. 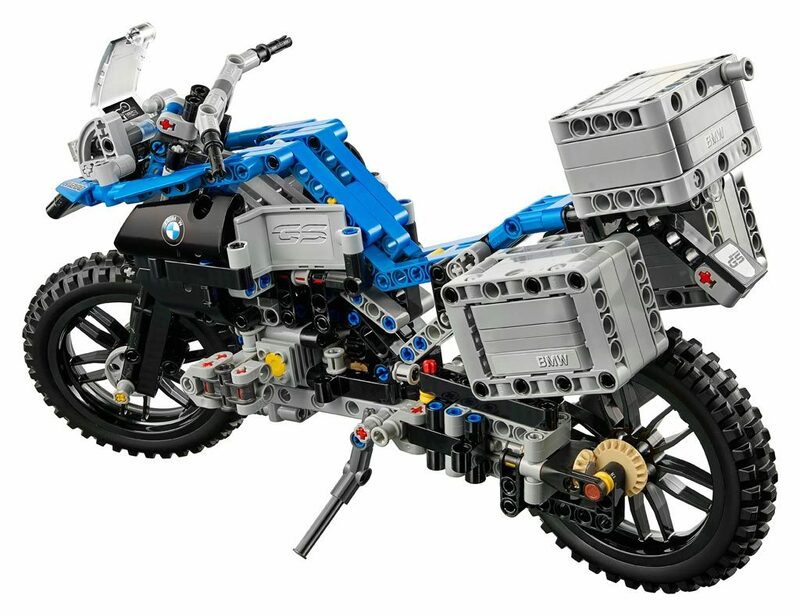 Built for LEGO’s Future BMW motorcycle contest RacingBrick’s bike features adjustable rear suspension and front and rear mounted LED lights, whilst the design concept is powered by two electric hub motors providing a combined 1000hp and features solar rechargeable interchangeable batteries. Technology like this isn’t too far from reality so we’ve got our fingers crossed that something like this will one day make production. 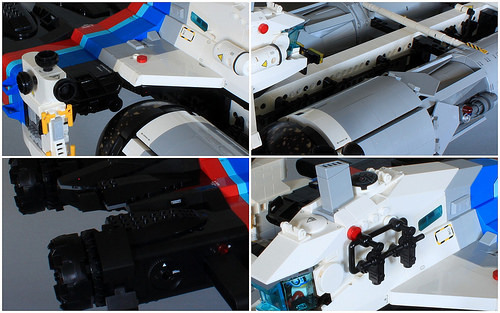 Until then you can check out RacingBrick’s Technic BMW concept at both Eurobricks and Flickr courtesy of the links in the text above. Awarded a meal-token for every find, one of our Elves is about to get very fat. These ten brilliant Town-scale off-road vehicles are the work of just one builder. Pixel Fox owns the mind (and hands) behind them, and he’s done a simply stupendous job of recreating some of the world’s best known off-roaders in mini-figure scale, as well as building a delightful scene for each one to reside within. Above, clockwise from top left, are a film-set Hummer H1, South African Volkswagen Syncro, beach-bound Jeep Wrangler TJ and a forestry Mercedes-Benz Unimog 406. Next are two of the world’s most prolific 4x4s, the iconic Land Cruiser J70 (left) complete with an adorable brick-built rhino, and the legendary Land Rover Defender 90 (right). The final set of instantly recognisable off-road vehicles is made up of a Mercedes G-Wagon, tragically pictured on red-carpet duty, a superb Range Rover Series 1 going hunting, a lifted Jeep Cherokee XJ, and a Dakar-spec BMW X5. Each creation is wonderful in its own right, and you can see more of all ten mini-figure builds at Pixel Fox’s Flickr album by clicking here, whilst we begin feeding a very deserving TLCB Elf! After the extravagance of yesterday‘s posts it’s time for a vehicle more befitting of this site’s status. Small, slow, and a little bit rubbish, the BMW Isetta ‘bubble car’ was the product of a continent in ruins after World War 2. Metal was in short supply, it could be driven on a motorcycle license, and taxing it was cheap. So was the car of course, mostly because it wasn’t really a car at all. As is often the way with weird classic cars, the BMW Isetta is now quite sought after, despite being about as cool as a G-Wiz in the ’50s. Maybe the G-Wiz will be cool in 60 years? Stranger things have happened. This neat recreation of the ’50s German oddity comes from Flickr’s OutBricks, and you can see more by clicking here. The Lego Car Blog Team own some interesting cars, as you’d probably expect from a website as nerdily automotive as this one, but no motorbikes. This is because if we owned motorcycles this blog would never have made it to five years old, and our organs would now belong to other people. However despite our aversion to owning motorbikes, we do still rather like them, and fortunately newcomer Nesme Laurent (aka NEMOOZ) allows us to indulge in this passion from the safety of a comfy chair. Laurent has built almost fifty Technic replica motorcycles, from manufacturers including BMW, Ducati, MV Agusta, Moto Guzzi, Honda, KTM, Yamaha, and Kawasaki, each features a variety of working functions, and instructions are available for many of the designs too. You can see a selection of Laurent’s builds at his newly created MOCpage, and you can see the full back-catalogue of fifty or so bikes via Brickshelf. 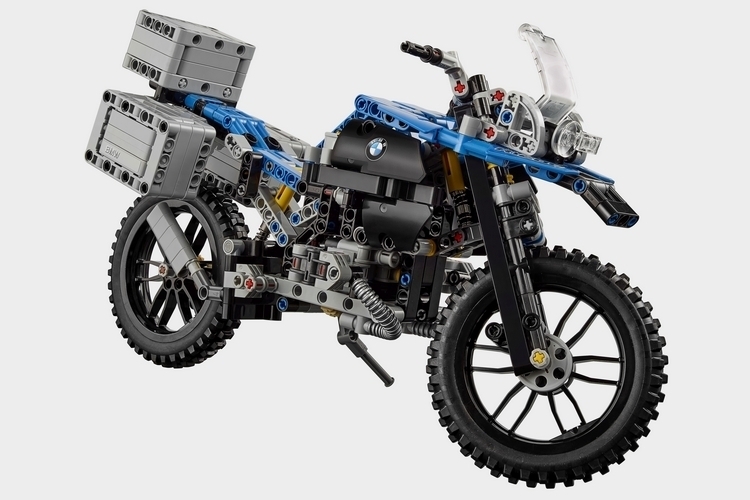 LEGO’s new partnership with BMW Motorrad has already produced a brilliant looking Technic set in the form of the 42063 R 1200 GS Adventure motorbike. Joining it in a matching scale is this superb F700 GS Rallye built by Flickr’s ianying616, who has recreated BMW’s mid-spec tourer wonderfully in the latest Technic style, adding some neat Model Team detail touches whilst retaining Technic functionality. Steering, shaft drive, and a two-cylinder boxer engine all feature, and there’s more to see at ianying’s photostream. Maxime Cheng‘s beautiful classic BMW R60 motorcycle has appeared here before (twice in fact), and it’s now been joined by an equally stunning sidecar. Easily one of the finest Lego motorbikes we’ve ever found it’s a build that’s definitely worth a closer look. 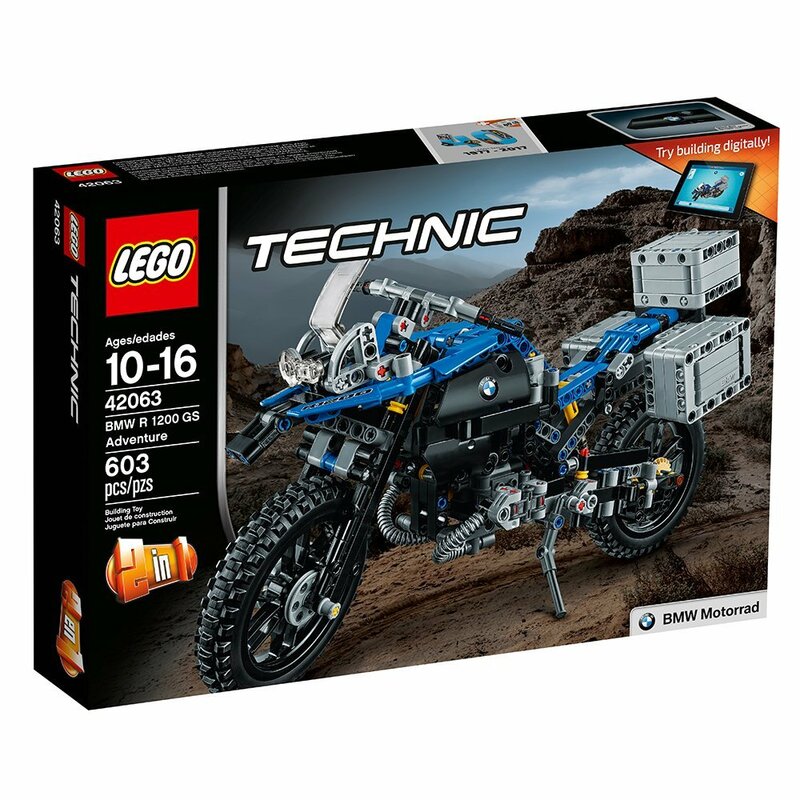 Maxime is hoping the design will become an official LEGO set via the LEGO Ideas platform, and with BMW now an official partner of LEGO with the launch of the new Technic 42063 BMW R 1200 Adventure set we think this is highly possible. 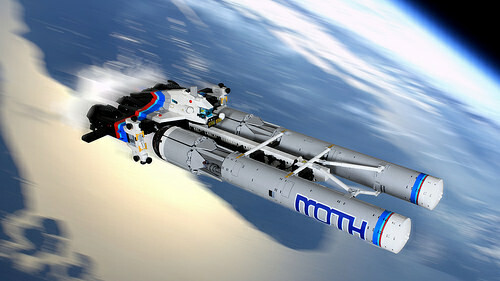 You can check out all of the brilliant images and add your vote on LEGO Ideas via the link above.